For extra festive flair at your next holiday party, tempt guests with decadent frozen concoctions instead of standard desserts. They're a fun treat that will put a smile on every party guest's face, and they're easy to make with your Margaritaville® Frozen Concoction Maker®. You can make a pitcherful of your favorite dessert-inspired frozen concoctions fast with the touch of a button. A warm bowl of apple crisp fresh from the oven is a rich and comforting dessert perfect for the holidays. Take the classic recipe to the next level this year by giving it a Margaritaville twist. Caramel sauce, ice cream and a splash of rum will be the showstopper at the end of your holiday dinner. Serve the frozen drinks in glasses with brown sugar and cinnamon rims for the perfect presentation. Add ice to the reservoir and vodka, apple cider, caramel liqueur, ice cream and 1 teaspoon cinnamon to the Margaritaville® Frozen Concoction Maker® and mix. In a small bowl, mix together the remaining cinnamon and brown sugar; use to rim the glasses. Pour frozen concoction into glasses and enjoy your holiday treat. Celebrate the season with a festive frozen concoction. This creative frozen concoction is inspired by peppermint and white chocolate mousse and is a cool, fun way to cap off your holiday meal. 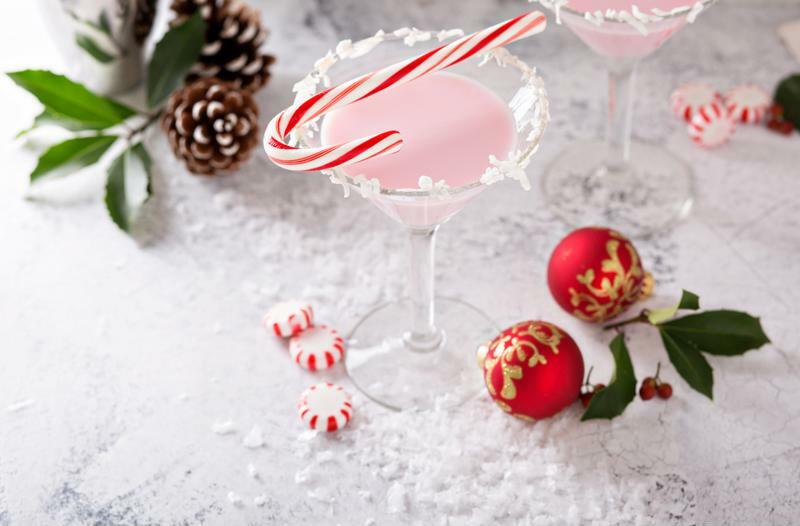 Stick a candy cane in the glasses as a garnish and watch the post-dinner holiday cheer begin! Add ice to the reservoir and remaining ingredients to the Margaritaville® Frozen Concoction Maker® and mix. Pour into tall glasses, sprinkle with white chocolate shavings, add peppermint sticks and serve. If you're first at the table to decorate gingerbread cookies each year, then you'll love this delicious frozen concoction. With equal parts chill and spice, making this treat in your Margaritaville® Frozen Concoction Maker® will be a new holiday tradition. Add ice to the reservoir and all ingredients to the Margaritaville® Frozen Concoction Maker® and mix. Pour into tall glasses and add gingersnaps for a tasty garnish. Did you ever think a margarita could take the place of dessert? This tasty frozen version of the classic holiday pie sure can. Served in glasses with graham cracker rims, it's a festive new twist on pumpkin and cinnamon flavors that will keep the party going all night long. Add ice to the reservoir and all ingredients to your Margaritaville® Frozen Concoction Maker® and mix. Pour into tall glasses with graham cracker rims and add a swirl of whipped cream on top.